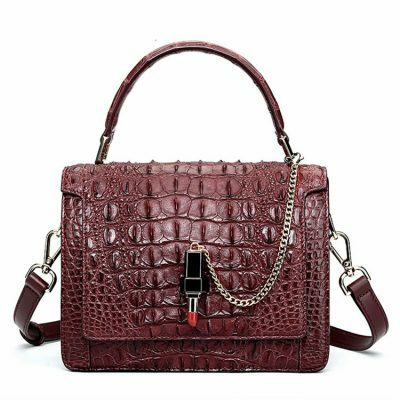 Crocodile handbag and alligator handbag for sale, all these genuine crocodile leather handbags, alligator leather handbags are free shipping. 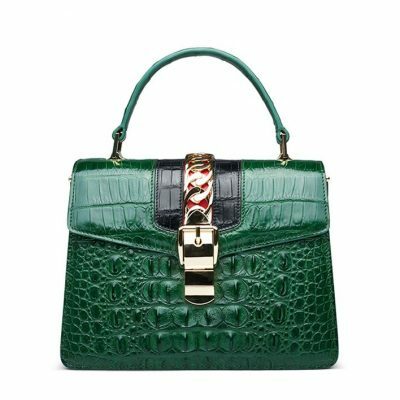 We only offer high-quality and high-end crocodile handbags and alligator handbags to our consumers. 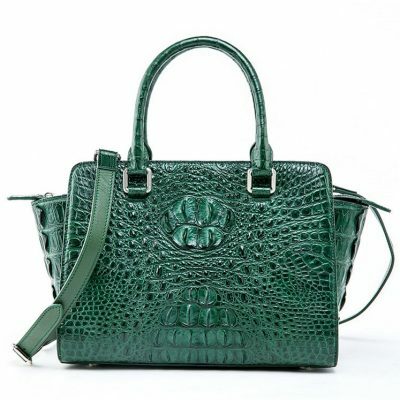 A stylish crocodile handbag or alligator handbag is like a portable life for women. So we always need a handbag that will protect everything we care about. 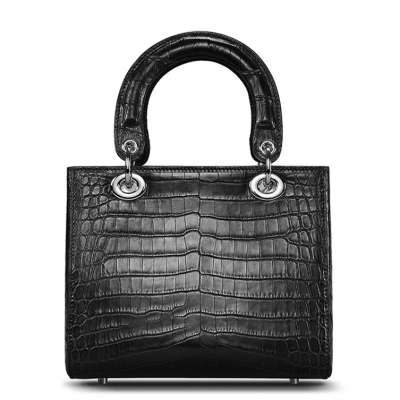 BRUCEGAO’s crocodile handbags and alligator handbags will fulfill all your expectations. 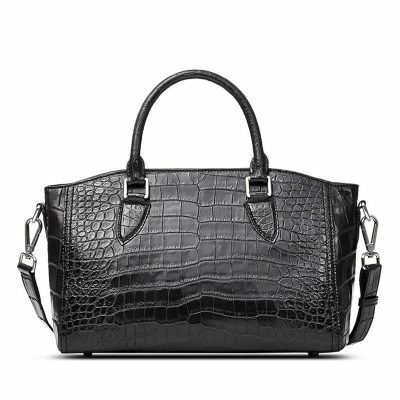 There is a huge difference between wants and needs, crocodile handbags and alligator handbags are sure to have made their way to the wants of almost all women. 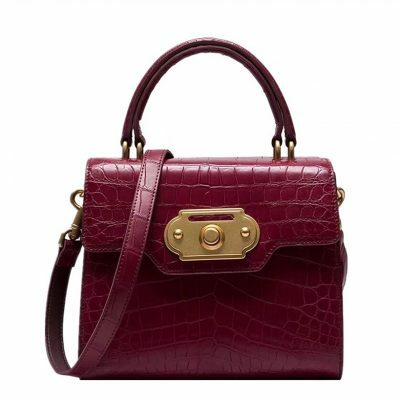 While you may not really need this kind of handbag, the desire overpowers it. Somehow, many women find that there is a need to at least have one of it. 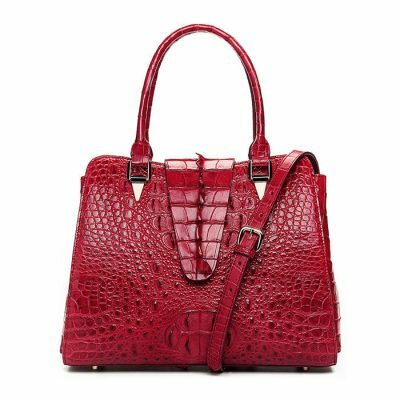 Crocodile handbags and alligator handbags are yearned and desired by many women around the globe. There is just something about it that makes it so luring. 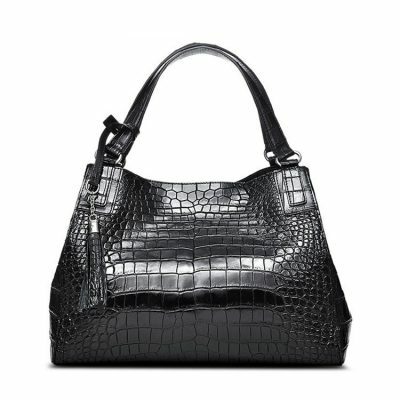 Perhaps the amazingly soft texture of the leather or maybe that sweet smell of the leather. 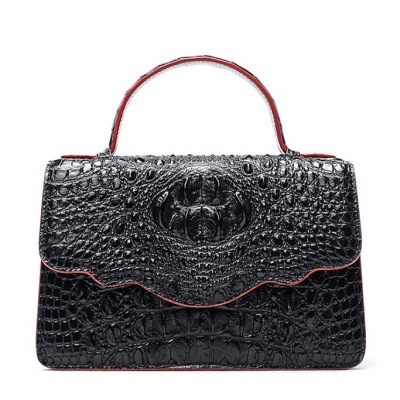 Crocodile handbags and alligator handbags usually have significantly high value compared with caiman leather handbags. 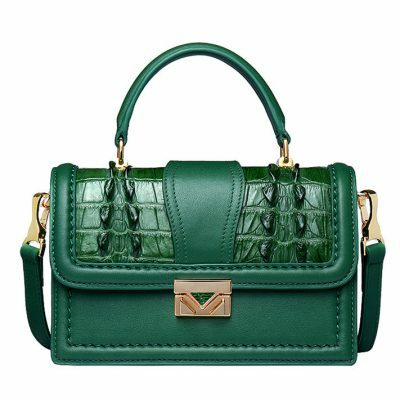 You should know that leather of crocodile and alligator are high style and really luxurious because of the very limited supply. 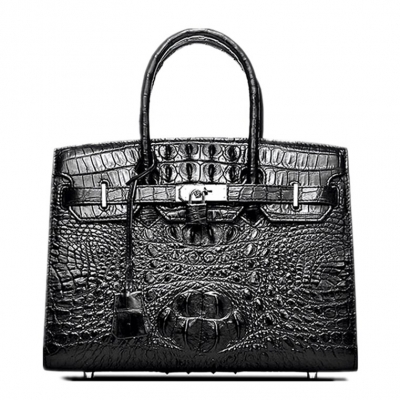 The caiman leather, although may appear similar, has a much lower value. 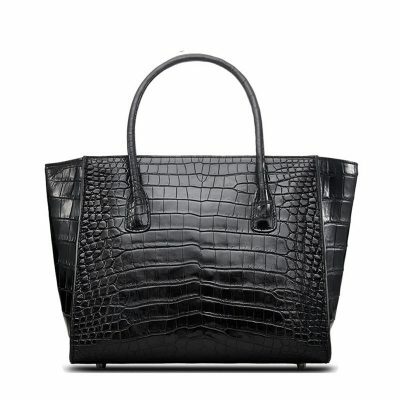 At BRUCEGAO’s store, we only pick the genuine crocodile leather and alligator leather as a handbag material. 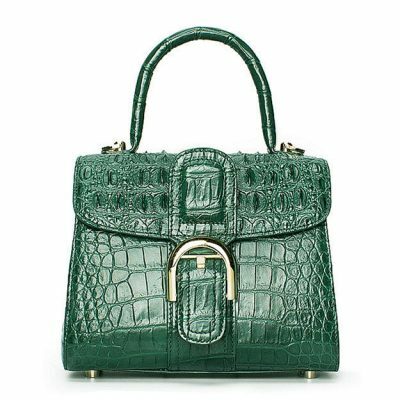 Crocodile handbags and alligator handbags are durable, sufficiently strong in addition to being noble and beautiful. 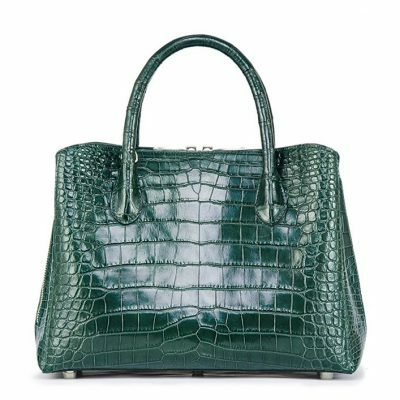 Self-made top quality skin of crocodile and its properties like strength and softness depends heavily according to the integrity of the tannery manufacturer or firm. Likewise, these characteristics are dependent on the technology utilized during the tannery process. 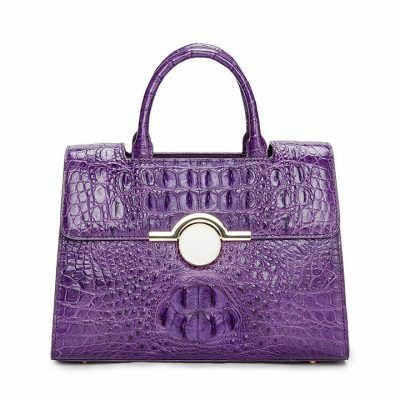 The tannery is a very delicate process which if not properly done can significantly affect the overall aesthetic of crocodile handbags and alligator handbags. 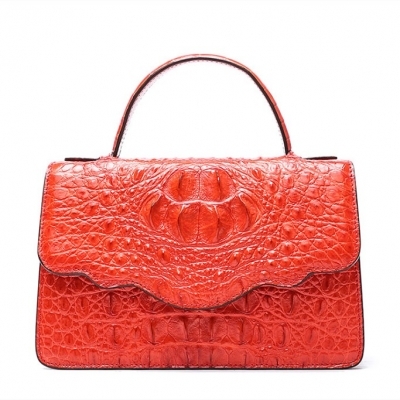 Crocodile handbags and alligator handbags are the in-demand commodities for the high-fashioned clients. 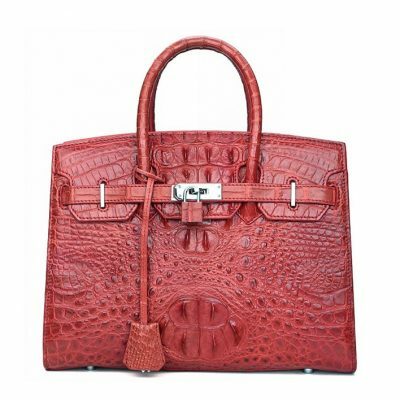 Many designers are aware that exotic leather items such as handbags and other items are a very competitive market. 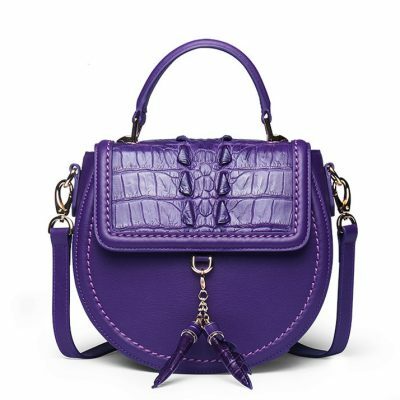 With numerous major houses of fashion having established their brands and have a strong grip on the market, it will be very difficult for other designers to make their creations stand out. However, difficulty should not be equated with impossibility. 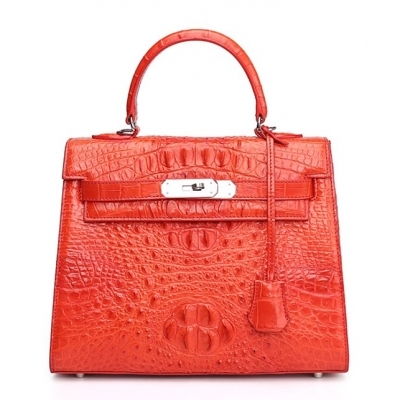 As in fact, there are numerous online stores offering the best quality crocodile handbags and alligator handbags. 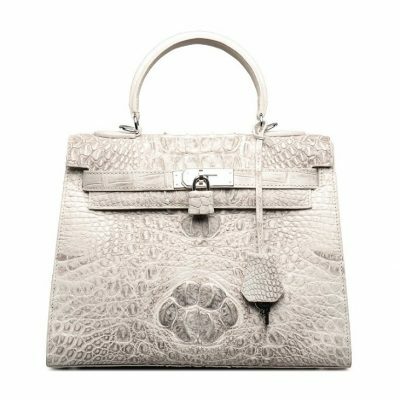 If you are one of those looking for the best quality crocodile handbags and alligator handbags, you can shop online and make your own choice among the many options available. 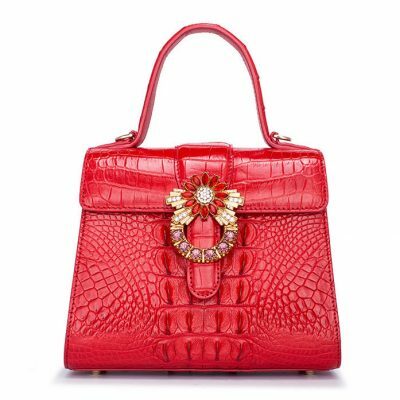 Cool shapes and exquisite designs are featured and exhibited by numerous designers. 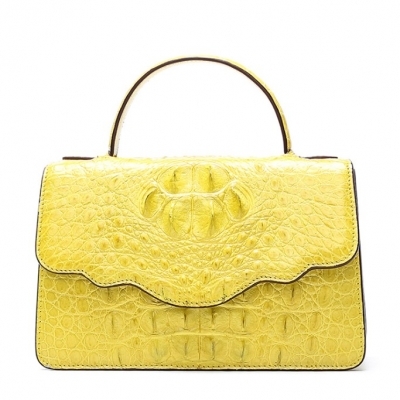 You can have bags made from these exotic materials in almost all designs and sizes. 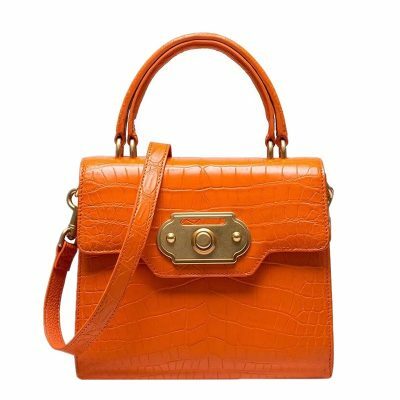 There is no need for you to visit brick and mortar stores as online stores also offer just the same range of selection. 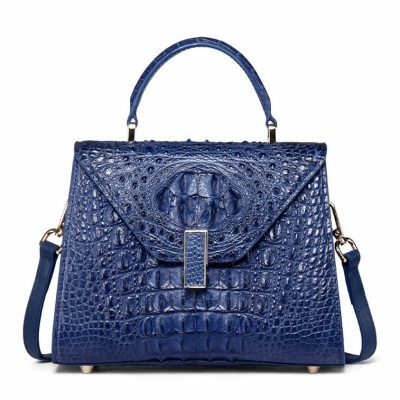 At BRUCEGAO’s online store, We only offer high quality and high-end crocodile handbags and alligator handbags to our customers. 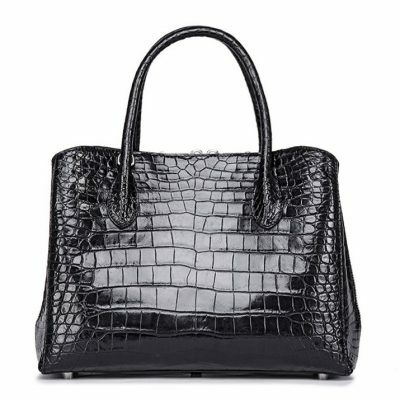 Premium quality crocodile and alligator handbags can really be a source of pride and style every day. 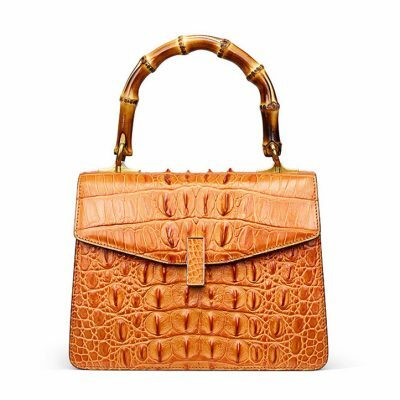 Aside from their elegant feel and look, items made from crocodile and alligator offer unmatched functionality, durability and of course prestige beyond other items making these excellent and long remembered items. 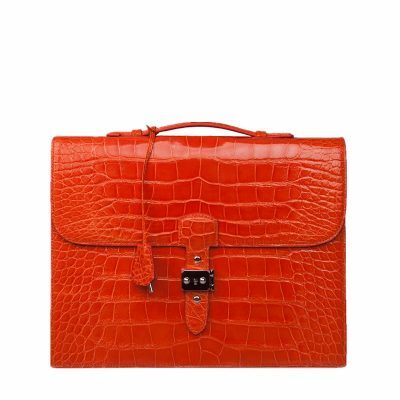 But when purchasing these items, you seriously need helpful and comprehensive crocodile handbags and alligator handbags buying guide to ensure satisfaction and success in every purchase. 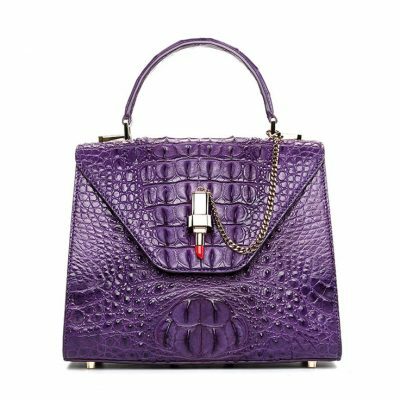 The following are more other helpful crocodile handbags and alligator handbags buying guide to help you come up with the most informed buying decision. 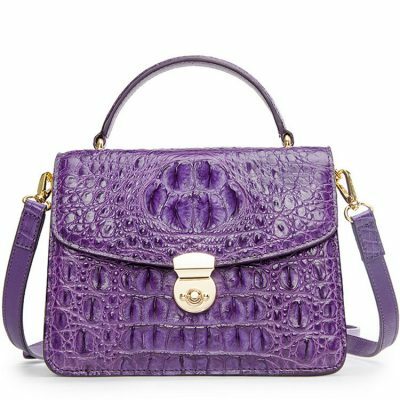 Know the Difference between Crocodile and Alligator Leather: Though there are only one species of the alligator which is American Alligator, it is noted that there are dozens of crocodile species out there that come in varied sizes and shapes all across the globe. 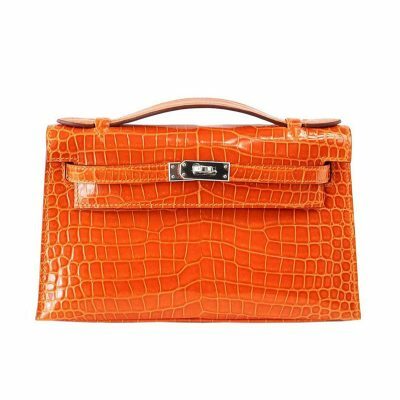 Also, trade in crocodile species and alligator is strictly regulated by Convention on International Trade in Endangered Species or CITES. 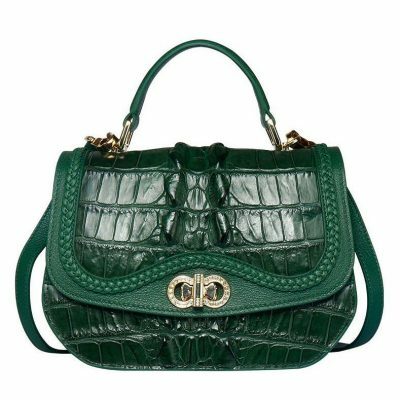 Crocodile and alligator leathers are quite the same in various ways including their relative exclusivity and great classic look. 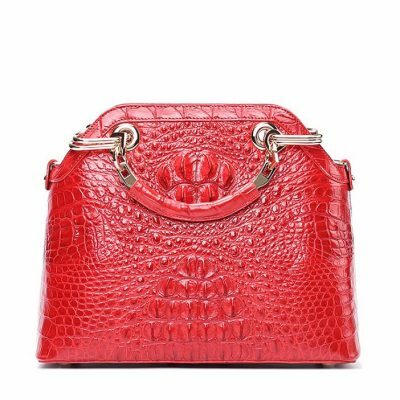 But based upon the section of the animal where the material is crafted from, the tanning as well as finishing process used and the quality of leather vary greatly. 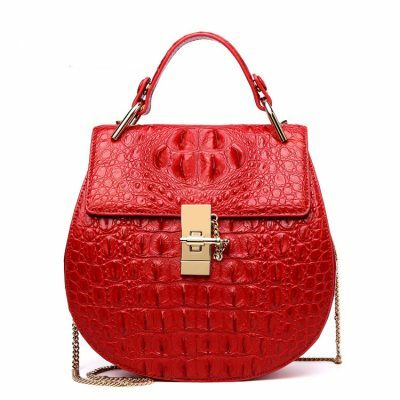 So when choosing crocodile and alligator handbags, consider the quality including the scale, softness, finish, and pattern of the leather instead of the animal species. 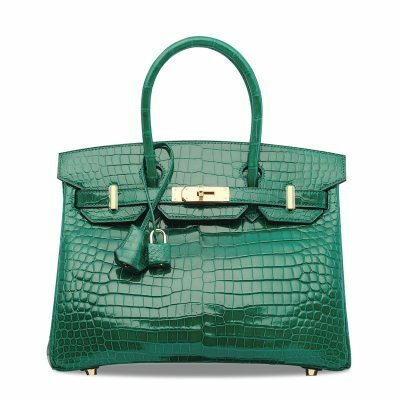 Consider the Finishes: Crocodile and alligator skins are widely available in varieties of colors and two major finishes; high gloss and semi-gloss. Your choice for finishing must depend on the application and type of accessory. 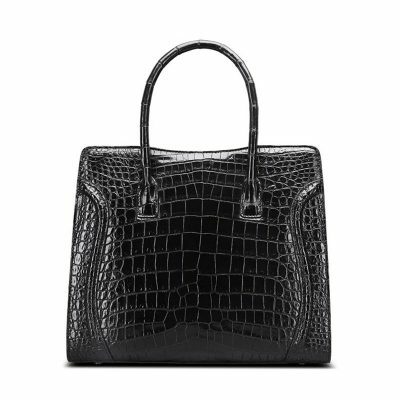 Classic finish is proven to be a more processed, smoother and shinier patent leather look which was associated historically with premium quality and exotic leather items. High-gloss finishing has been favored by manufacturers and shoppers alike. This finish is also increasingly popular for its understated and natural look and its unmatched durability. 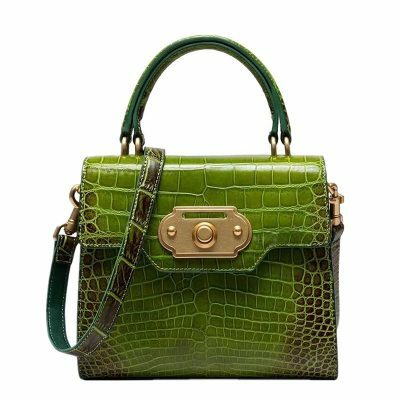 Choose the Right Color: It would be easier for you to choose the right color upon learning that alligators are natural-colored and camouflaged on their brown and green surroundings, therefore their skins are a naturally dull combination of brown-green-gray. Through dyeing and tanning process, skin can be dyed to any color. 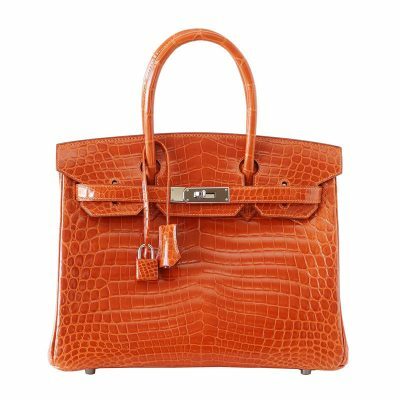 While brown and black are common colors, other beautiful colors are still available at times. 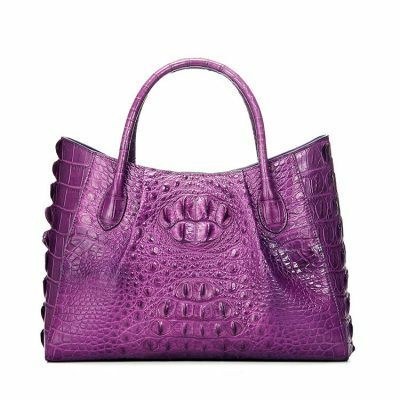 When planning to buy crocodile and alligator handbags, remember that depth and consistency of color are vital and it’s easier to achieve more vivid and darker color. The light colors can somewhat be inconsistent and easily discolor over time. 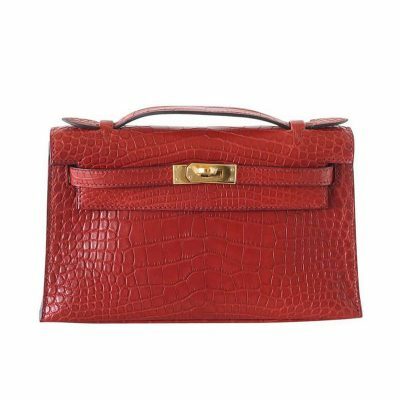 Storage: When you are not using your exotic handbag, it is important to keep them in a cool, dry place. 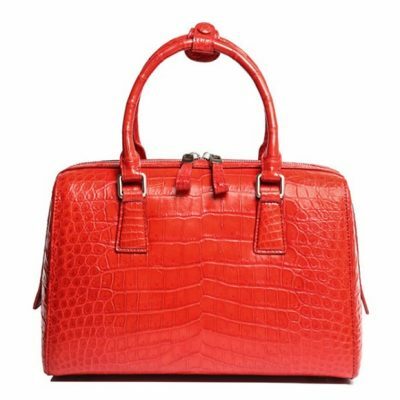 Crocodile and alligator handbags often end up discolored or damaged when exposed to excess moisture and heat. 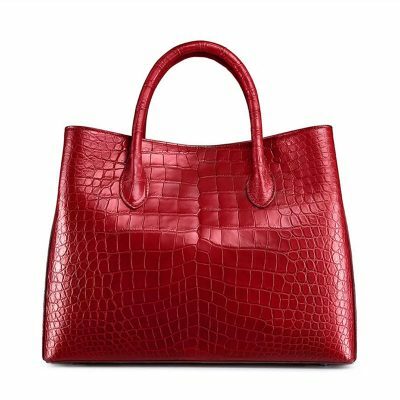 When storing your handbag, make sure to put it away rough or hard surfaces or it might get scratches if you do. 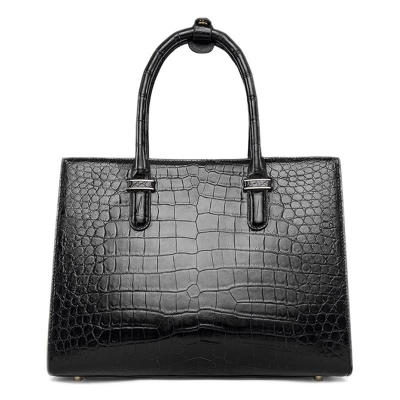 In addition, avoid putting other things on top of the handbag. 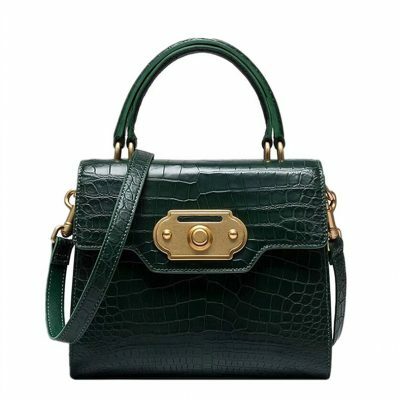 It is important to do never let other objects stack up over your crocodile or alligator handbag to avoid crushing it. 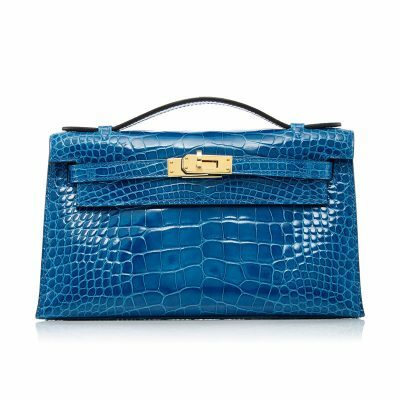 On that note, the best method of storing your exotic handbag to preserve its appearance and avoid any damage would be to put it in a sealed container. If you want to ensure it remains in the proper size, you can also put crumpled newspaper inside, which helps proven excess wrinkling. 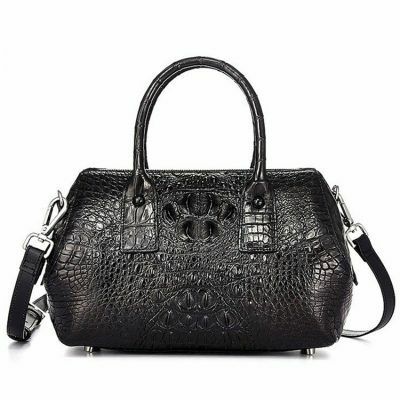 Cleaning: Next, you need proper instructions on cleaning your exotic handbags. 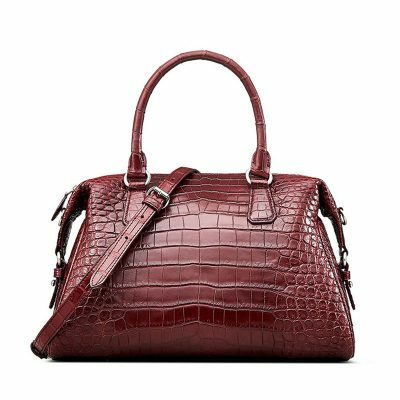 For crocodile and alligator handbags, it is important to remember to avoid getting the leather excessively wet. 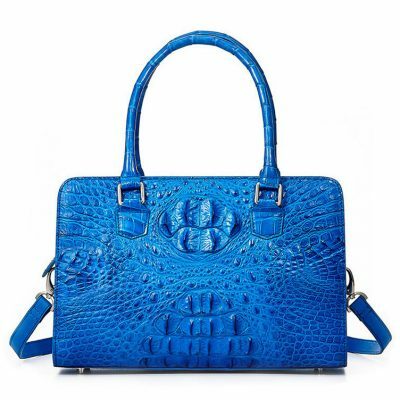 Some people assume that crocodile and alligator skins repel water instead of absorbing it. 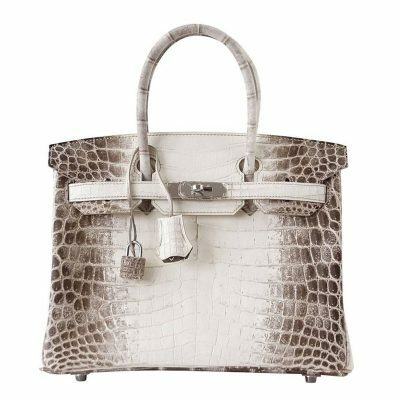 In truth, however, too much water or moisture can actually damage the finish of your exotic handbag. 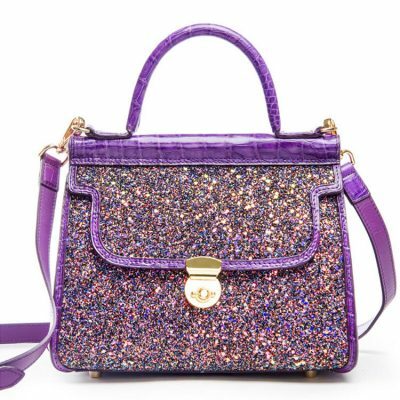 Removing Excess Moisture: When your handbag gets wet, remove the excess moisture by gently rubbing the affected area using a cleaning cloth or soft, dry towel. 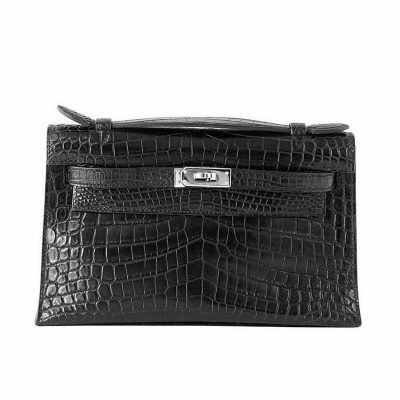 Once you soaked up most of the moisture, proceed to hang dry your handbag to finish removing excess moisture. 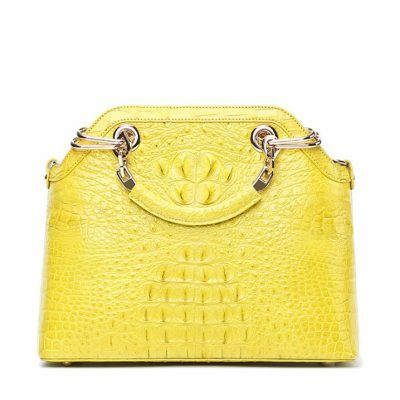 Make sure not to hang your handbag under direct sunlight or other heat sources.
. Crocodile handbag or alligator handbag is a perfect investment once in your life which can serve as a perfect and beautiful gift for birthdays.
. In whatever shape or size you are, there is a design or size that will suit you just fine.
. 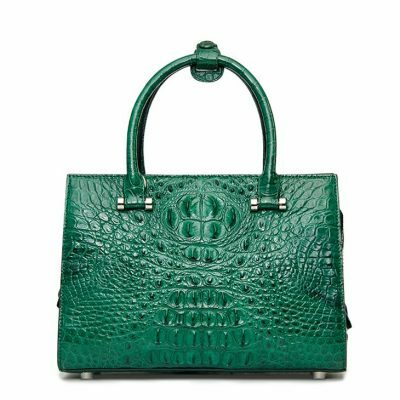 The crocodile handbag or alligator handbag will not be out of fashion too soon and considering that it is a high-end and fashionable handbag, it can even give you that celebrity feeling.
. They are surely durable and long lasting and can even be passed on.
. 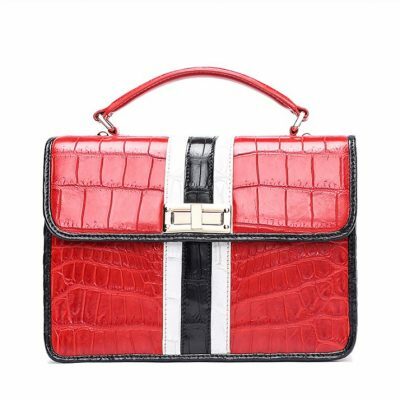 These gorgeous handbags have the capability of elevating ordinary and plain looking outfit. 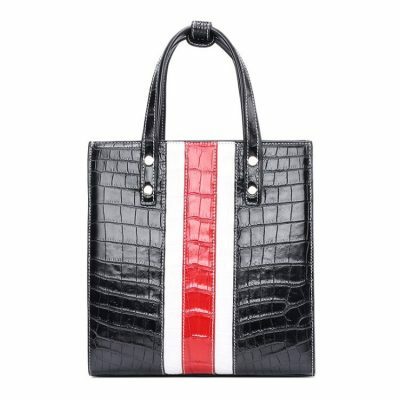 Even if you are dressed casually, your handbag will definitely stand out.
. 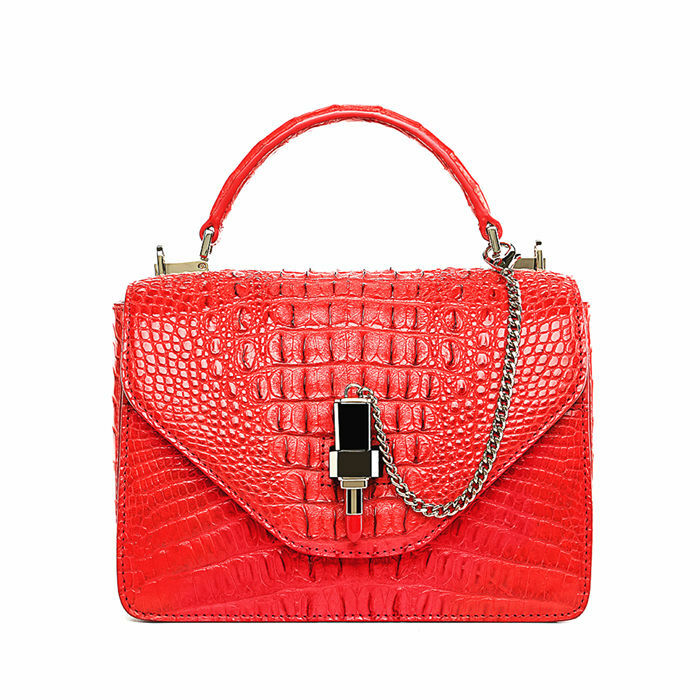 These high-quality handbags will also show your fine fashion taste.
. 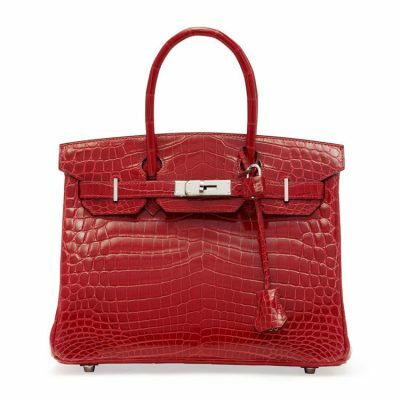 When you take care of it properly, it also offers a very high value of resale. 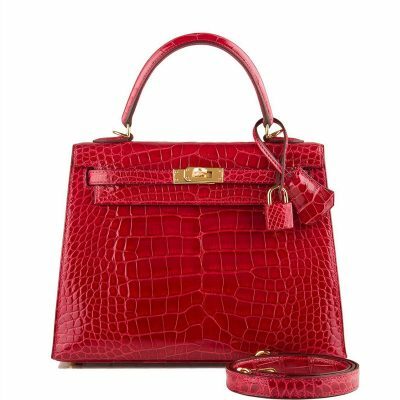 Some even become pricier as they become vintage.
. 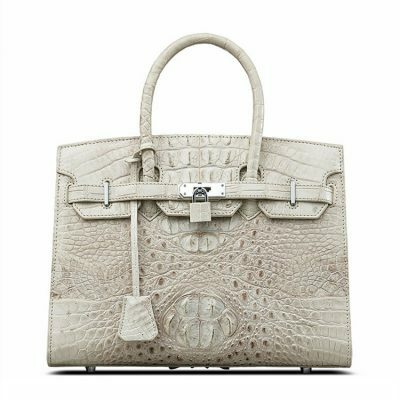 These kinds and quality of handbags serve as a significant symbol of status. 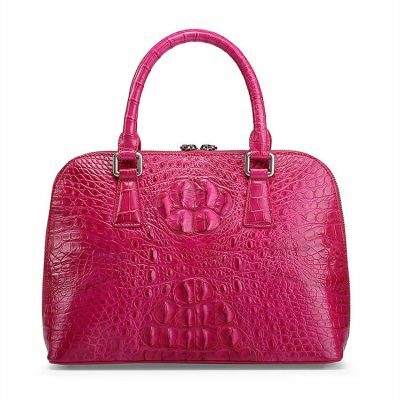 These leather handbags have attached impression of affluence and wealth.
. 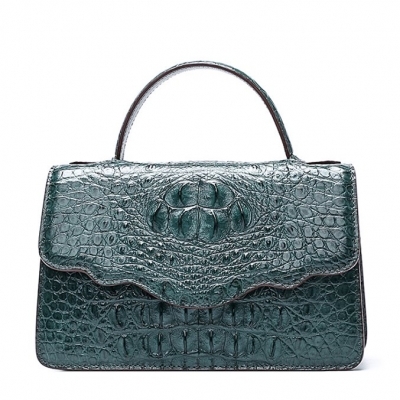 The quality of the leather is not seen as to any other kind of leather handbag which makes them stand out.
. All of these crocodile handbags and alligator handbags are crafted and hand-stitched that is why it is not massed-produced and it is offered on a limited number of items only. 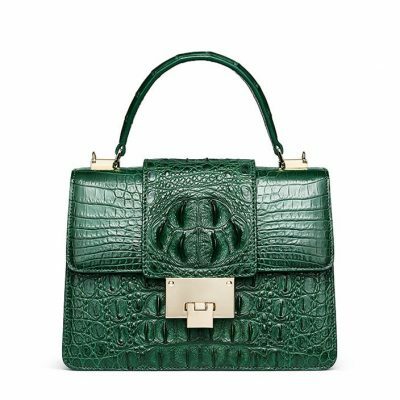 With the myriad of benefits that come with owning crocodile handbags and alligator handbags, every woman dreams of getting their hands on it. 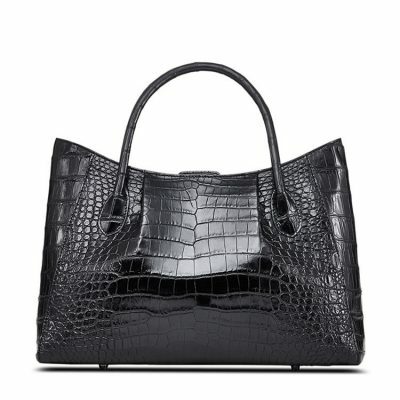 Tags: crocodile handbags, alligator handbags, crocodile handbag, alligator handbag, crocodile leather handbags, alligator leather handbags, crocodile skin handbags, alligator skin handbags, genuine crocodile handbags, genuine alligator handbags, genuine crocodile leather handbags, genuine alligator leather handbags, crocodile handbags for sale, alligator handbags for sale.